Download "I. 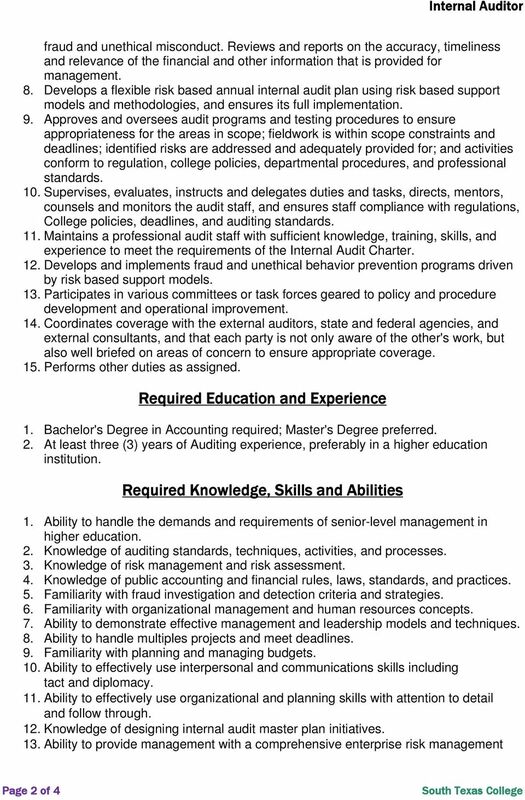 South Texas College Job Description Internal Auditor. II. Meeting with Candidate for Internal Auditor Position"
6 Finance and Human Resources Motions February 22, 2016 Page 1, Revised 3:30:35 PM Meeting with Candidate for Internal Auditor Position Two finalist candidates for the Internal Auditor Position were invited to meet with the South Texas College Board Finance and Human Resources Committee. One candidate has since withdrawn from consideration for this position. 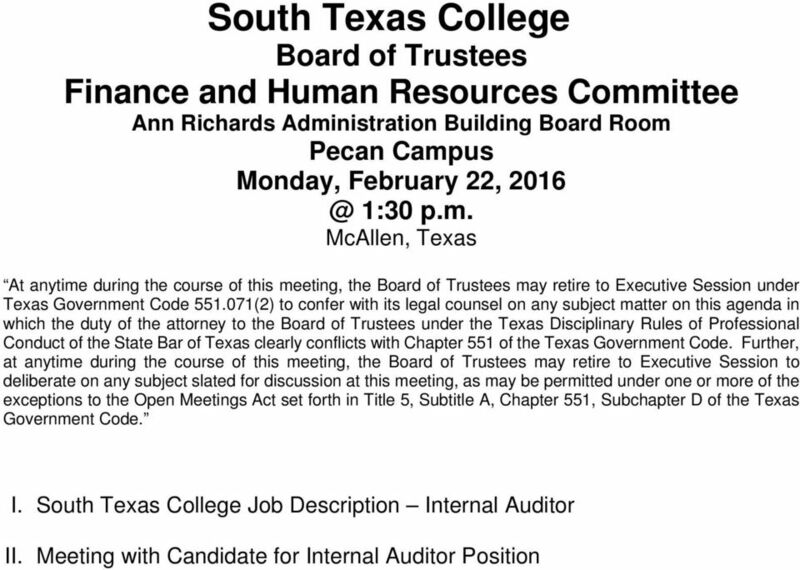 The final candidate for the Internal Auditor position has been invited to meet with the South Texas College Board Finance and Human Resources Committee. Candidate Background: Education Bachelors in Business Administration (BBA), UTPA Masters in Accountancy (MAcc), UTPA Professional Licenses/Certifications Certified Public Accountant (CPA) Certified Internal Auditor (CIA) Certified Government Auditing Professional (CGAP) Work History Sr. Auditor, <redacted> 09/01/ current - Leads the planning, performance, reporting and follow up of internal audits and other assigned projects and tasks, under limited supervision for the Audit department. - Performs risk assessments in preparing the audit plan. 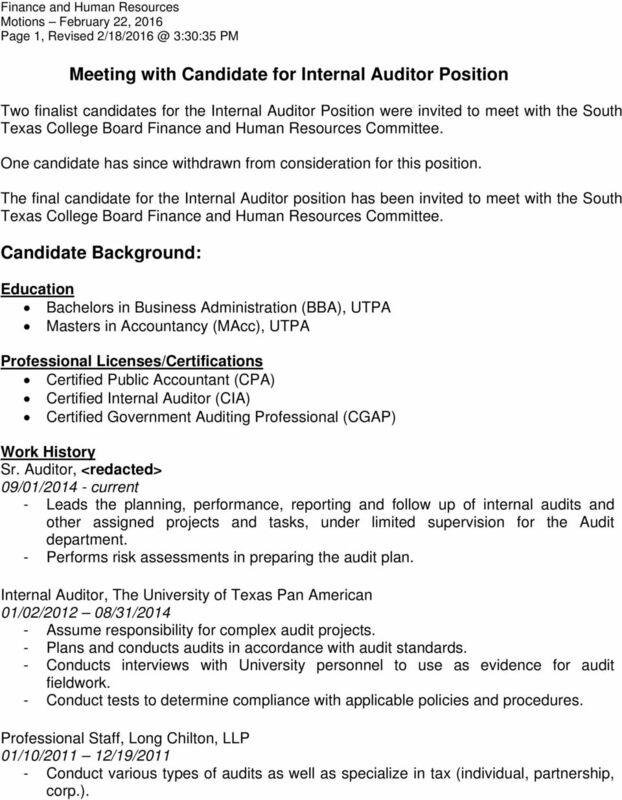 Internal Auditor, The University of Texas Pan American 01/02/ /31/ Assume responsibility for complex audit projects. - Plans and conducts audits in accordance with audit standards. - Conducts interviews with University personnel to use as evidence for audit fieldwork. - Conduct tests to determine compliance with applicable policies and procedures. 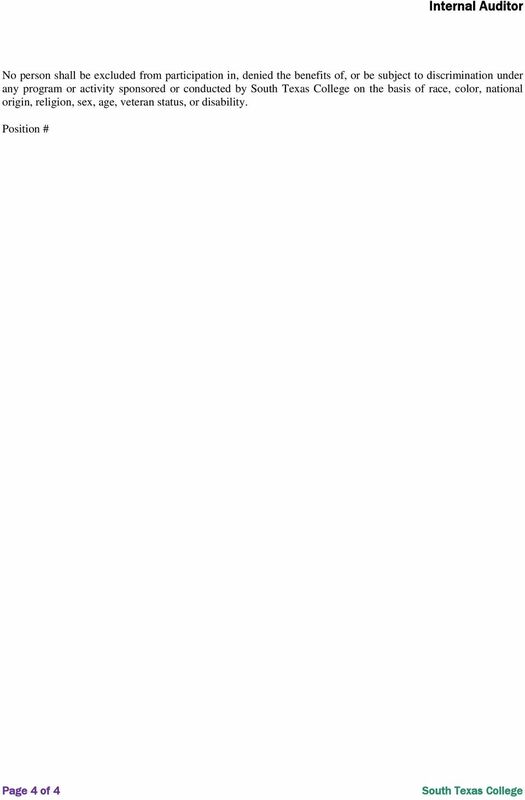 Professional Staff, Long Chilton, LLP 01/10/ /19/ Conduct various types of audits as well as specialize in tax (individual, partnership, corp.). 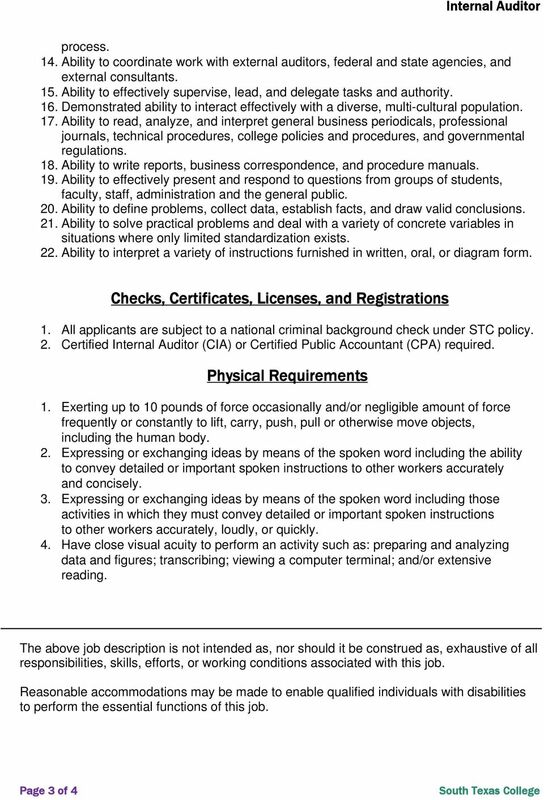 The duties of this position are "not" limited to those listed below. 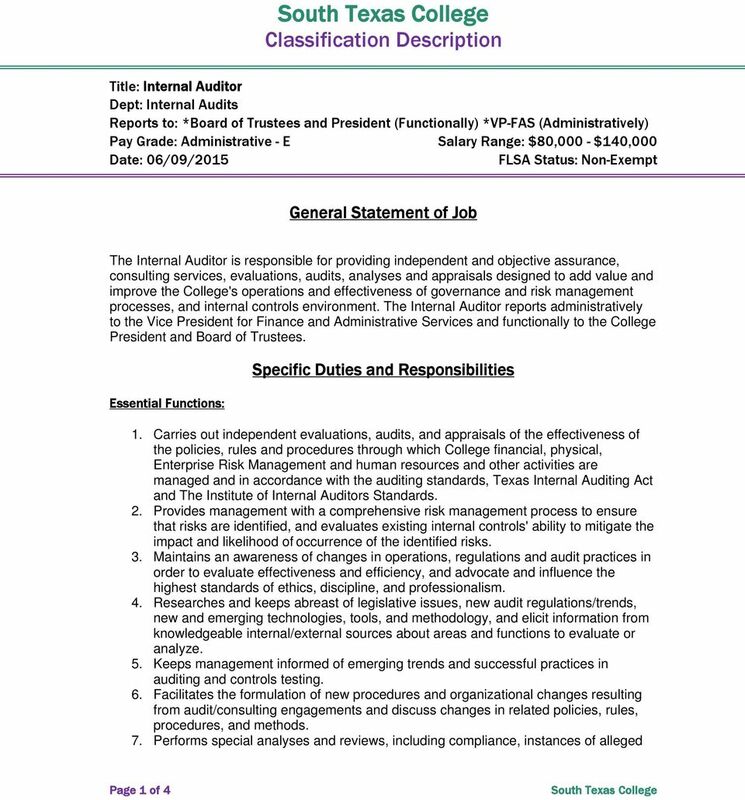 COUNTY OF COOK Bureau of Human Resources 118 N. Clark Street, Room 840 Chicago IL 60602 Job Code: 0081 Job Title: Director Salary Grade: 24 Bureau: Finance Department: Office of Contract Compliance Dept.